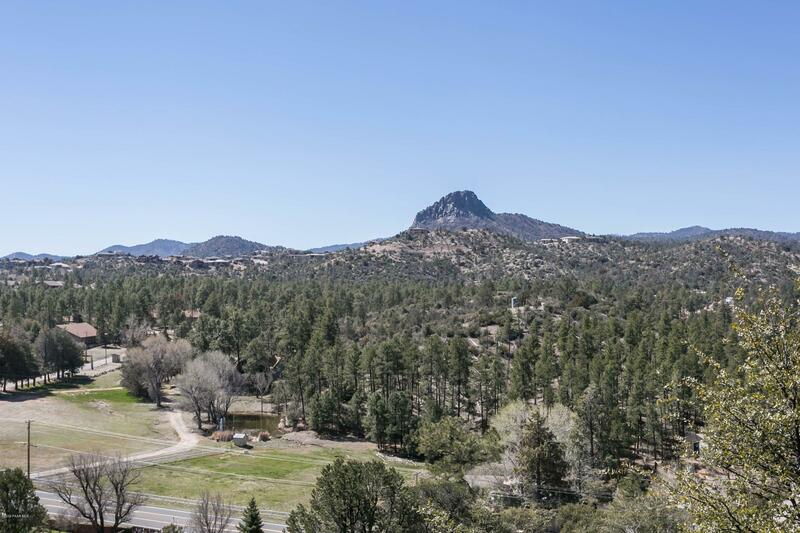 All Vista Del Cerro Estates homes currently listed for sale in Prescott as of 04/22/2019 are shown below. You can change the search criteria at any time by pressing the 'Change Search' button below. "Magnificent Tuscan Estate atop a private lot overlooking the views from every direction. With attention in every detail, this beautiful home leaves nothing to the imagination with 13.5'' ''ICF'' block walls made of recycled material that is impervious to mold, mildew and termites, full LED lighting, flawless architectural angles, private patios, custom landscape and a mesmerizing koi pond that will set you at ease. 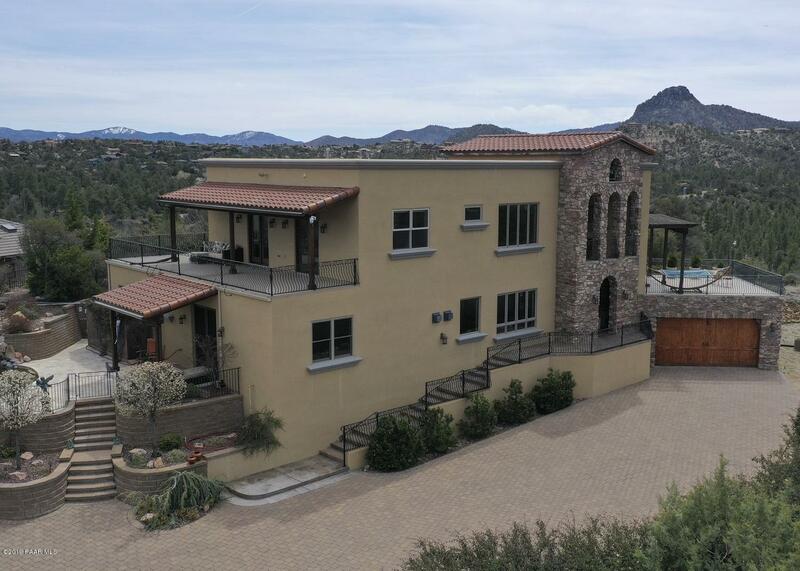 Enjoy the features throughout with towering ceilings, custom flooring, pillars an"
"If you're looking for gorgeous panoramic views, you need to see this beautiful home in a gated community. The floor plan is 'main level living' and almost every room has a wonderful view. Huge living room with vaulted beamed ceiling and gas fireplace features a wall of windows which open to the large deck with views of Thumb Butte and National Forest. Spacious office next to the living room continues the walls of windows with great views. Updated kitchen with granite counters, engineered wood fl"